– 1 x 10ml Tea tree Essential Oil – a strong medicinal aroma reflects its powerful bacterial and virus busting properties, although its action is also very gentle. Tea tree can be added to a carrier oil for skin conditions, or even to a foot bath for feet infections. – 1 x 10ml Lavender Essential Oil – a wonderfully versatile oil, but best known for its relaxant properties. Can be used to soothe and heal minor cuts, insect bites, or burns. Add a few drops to a bowl of warm water and use to wash minor cuts or grazes. A drop inhaled from a tissue or on a pillow can aid restful sleep. Add to the bath at the end of a stressful day or rub a drop into the temples for a headache. – 1 x 10ml Eucalyptus Essential Oil – a wonderful for respiratory conditions, add eucalyptus to a bowl of hot water and inhale the steam to help clear a stuffy head. Or add to a carrier oil and massage into chest and back. Put a few drops on a damp cloth and use to wipe over door handles, light switches and other areas to reduce the spread of colds. 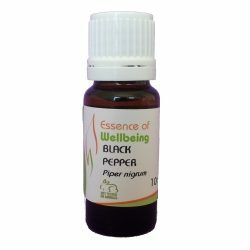 – 1 x 10ml Peppermint Essential Oil – add a few drops to a tissue and inhale to help relive nausea, travel sickness or headaches. Or add to a footbath for hot tired feet. 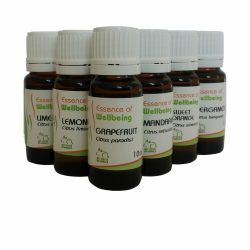 – 1 x 10ml Lemon Essential Oil – antiseptic and refreshing. Great to blend with other oils to increase their synergistic effects. – 1 x 10ml Rosemary Essential Oil – stimulating to the mind and memory, rosemary is great for mental fatigue. It is also good for the hair – add to a carrier oil and use as a scalp massage for dry, flaky or out of condition hair. – 5 x Aroma Inhalers to help you create your own remedies.